When you graduate from college, you have a lot of opportunities that are available to you. You may be focused on making from graduation to your first job. When you first graduate you have the opportunity to set up good financial habits and to set yourself up for financial success in the future. If you take the right steps now, you will be set to reach your financial milestones and retire comfortably. 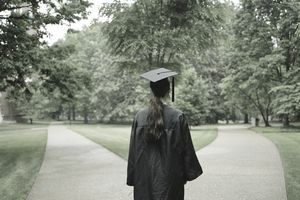 Here are five steps you need to take the year you graduate. The sooner you start saving for retirement, the better off you will be when it comes time to retire. If you start with your first paycheck, you will not miss the money because you are adjusting to a new salary and living expenses. If you do not qualify to invest in your 401(k) right away, you can open an IRA and start contributing to it each month. A Roth IRA will allow you to withdraw from your retirement without paying taxes on the money, while a traditional IRA can help to lower your taxable income. You can open an IRA at a brokerage firm and choose different stocks or mutual funds to invest in. When you are in your 20s, you can be more aggressive with the types of funds you invest in. The high-risk funds will grow more quickly, but they do have more of a risk. However, when you are in your 20s, you will have time for the market to recover if it were to go down. When you are closer to retirement age, you should be more conservative about your investments. Be sure that you are fully taking advantage of any match that is being offered by your employer. This is a great way to easily save for retirement. Some employers will automatically contribute a set amount, while some will match your contributions up to a specific amount. You should contribute up to that match so that you can receive the extra money for your retirement goals. Your student loans will go on deferment automatically for six months after you graduate. However, you do need to follow up on this because occasionally some accounts will slip through the cracks. You may opt to pay the interest during this time so that it does not continue to compound. Be sure to keep your contact information updated with your student loan provider. Once you have landed your first job, you need to make tackling your student loan debt a high priority. You may want to consider consolidating your student loans if you find that the payments are too much for you to manage at first. You can also see if you qualify for an income-based payment. While these options can help when first starting out, it is important that you make paying off the debt a priority. You can use bonuses and tax returns to speed up the process of paying off your student loans. You can also stay on a bare-bones budget until you are debt free. It is much easier to start off with a tight budget than to try to cut costs later when you are trying to get control of your finances. Life is full of surprises. It may be the opportunity to go on a dream trip or it may be that your car breaks down unexpectedly. It helps to have money set aside to cover the unexpected expenses so you can deal with them without worrying or going broke. When you first start working, you should set up an emergency fund of at least $1,000. Another option is to save up one month of expenses. This money can help you cover everything care repairs to unexpected medical bills. Once you are out of debt, you should work on building up an emergency fund that will cover between six months to one year of expenses. The amount you choose will depend on your job security. If your field has layoffs every few years, it is better to aim for a year of expenses. In addition, you may want to consider preparing for other expenses by setting up sinking funds. These will cover things like car repairs, buying a new car with cash or a down payment on a home. If you own your own home, you may be putting money aside to cover home repairs or a remodeling project. You can also use this to save up for your vacations. When you first graduate, you have so many opportunities available to you. You also have the ability to go after those dreams. Sit down and make a five-year plan that will cover where you want to be and what you want to have accomplished in the next five years. This can include everything from your career to adventures you want to have and milestones you want to reach. Then make them happen. Do not make excuses, figure out what you want to do and go for it. Your first five years of your career are important in steering you in the right direction. Be sure that you do not settle into a job that does not have the potential for growth. If the market is difficult to break into or there are not many jobs, you may want to consider taking additional classes and increasing your certifications. Do not be afraid to look for a new job that offers more growth potential, especially if your first job is not quite what you wanted it to be. Finally, the most important thing you can do is to master budgeting. It does not matter how much you make if you do not have a solid plan on what you want to do with that money. You can always spend more than you make. Your money can be a great tool to help you reach your goals and to live a comfortable life, but you need to be in control of it. It may be a good idea to keep living like college students for a few more years. This year you should find a budgeting system that works for you whether it is as simple as using the envelope system or finding the perfect app for your money. When you decide when and how you spend your money you are in control and you can prioritize your spending to match your goals. Your budget can help you avoid debt and prepare you for the next steps like buying a home or starting a family. If you can start budgeting as soon as you graduate, you will be able to do so much more financially throughout your life.